The Trust for Public Land is working to create great Ohio parks and natural areas—and make the ones we have better. 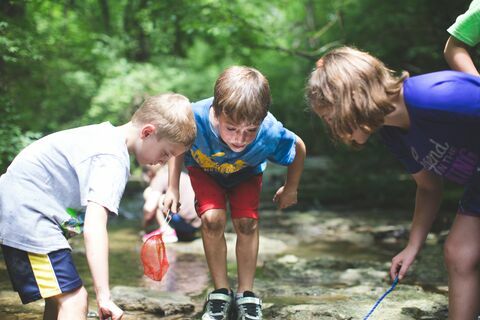 We are improving the quality of life for all Ohians by creating trails and greenways to strengthen our connections to nature, recreation, and each other. We protect both wilderness and urban parks—from Lake Erie shorefront, to the Towpath Trail and Cuyahoga-Lake Link, to dozens of properties added to Cuyahoga Valley National Park. Our work is safeguarding the state's natural, recreational, cultural, and agricultural resources and promoting park equity for future generations. The first segment of the Cleveland Foundation Centennial Trail, the "backbone" of the Cuyahoga-Lake Link, was dedicated in August 2015. Soon Northeast Ohioans and visitors will be able to ride their bikes along the beloved Towpath Trail from the Cuyahoga Valley National Park all the way to Lake Erie. In Cleveland, The Trust for Public Land worked with Saint Luke’s Foundation and the Healthy Eating & Active Living (HEAL) initiative to bring three Fitness Zone® areas to the east side communities of Buckeye, Larchmere, and Woodland Hills. 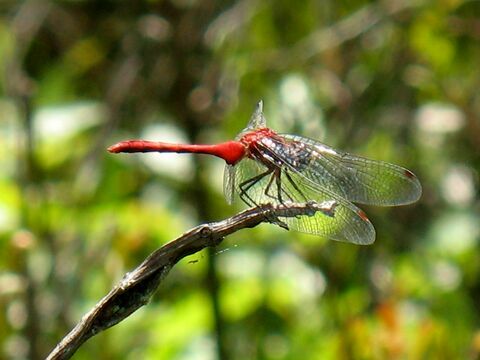 Glen Helen Nature Preserve in Yellow Springs, Ohio had been saved many times from development before TPL stepped in to help Antioch College forever preserve this resource. Already home to nearly 200,000 residents, Medina County is one of the top ten fastest growing counties in the State of Ohio. While good news for the local economy, this growth is threatening the area’s remaining wild landscapes and cutting off public access to its vibrant natural resources. 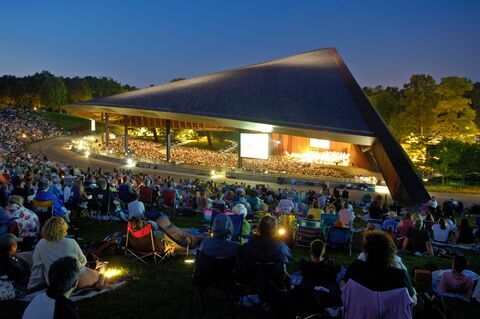 In October 2011, the Cuyahoga Valley National Park—the tenth most visited in the United States—grew by 578 acres thanks to the efforts of The Trust for Public Land, the National Park Service and Blossom Music Center. When the Girl Scouts of Western Ohio decided to sell Camp Myeerah, they wanted to ensure that the new owner would still allow the land to be used for camping, nature education, and outdoor recreation. Connecting three University of Toledo campuses and numerous parks and trail systems, the Chessie Circle Trail project will convert an 11-mile long railroad corridor into a hiking and biking trail. Through 2017 The Trust for Public Land will work with Cleveland and Sandusky communities to plan for investment in park and public spaces that both address climate challenges, human health, and other benefits. In Cleveland, for example, less than 25 percent of residents are within a 10-minute walk to a park. Improving stormwater management through potential park investments, while improving access to parks, is a win-win. We helped protect the historic home of Colonel Charles Young, first African American Colonel in the United States Army. The Trust for Public Land worked with Erie MetroParks, the Sandusky/Erie County Community Foundation, the Ohio Department of Natural Resources, and the Nature Conservancy to create the 1,283-acre East Sandusky Bay Nature Preserve for public use and enjoyment. The 90-acre Gateway Property contains the longest natural stretch of the Cuyahoga River within the boundaries of the Cuyahoga Valley National Park, providing important wildlife habitat and resource protection. Through the efforts of The Trust for Public Land and The Cleveland Museum of Natural History, an environmentally sensitive and unique 394-acre tract in Geneva Township will be saved from future development and become the newest addition to the Museum's protected properties in the Geneva Swamp Lake Erie coastal wetlands system. The Geneva Swamp Preserve Property protects hundreds of acres of wetlands and forested uplands in the Lake Erie coastal zone. "Ohio" is an Iroquois word meaning "great water," and its residents are fortunate to border one of the earth's largest lakes, and enjoy many rivers and streams flowing across the landscape. In 2012, we conserved 139 acres at Lake Erie Bluffs, including habitat important to rare, threatened, and endangered plants and wildlife. We are working to ensure that there is public access or privately conserved natural area along each mile of the Lake Erie shoreline in metropolitan areas, and every five miles in rural areas. The Trust for Public Land and Belpre Township have protected the 67-acre Baker Farm property along the Little Hocking River in Little Hocking, Ohio. The property includes open fields, mature forests, a small stream, a cave, ponds, and approximately 800 feet of river access to the Little Hocking River. The Trust for Public Land spearheaded the acquisition of this 7.8-acre island property with extensive migratory bird habitat and a large population of the Lake Erie watersnake. 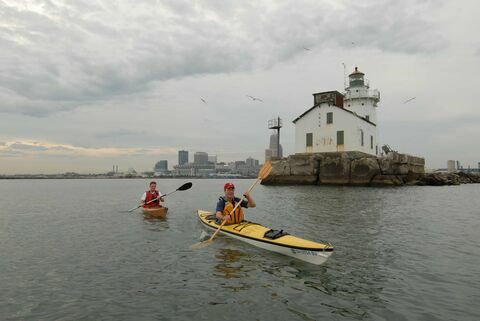 A few miles offshore of Cleveland in Lake Erie, Kelleys Island harbors rare wildlife, peaceful forests, and distinctive bedrock grooves carved by long-melted glaciers. The Trust for Public Land is helping to create an infrastructure of parks and protected lands throughout the entire Ohio & Erie Canal National Heritage Corridor. TPL is working to increase parkland and trails to connect Cleveland neighborhoods with Lake Erie at Whiskey Island. In the state's metropolitan areas beyond Cleveland, we're providing places to play, connecting existing greenspace, and re-imagining the urban core of target cities. In 2010, The Trust for Public Land finalized the protection of 293 acres known as Pond Brook, located at the headwaters of Tinkers Creek in the Cuyahoga River watershed. 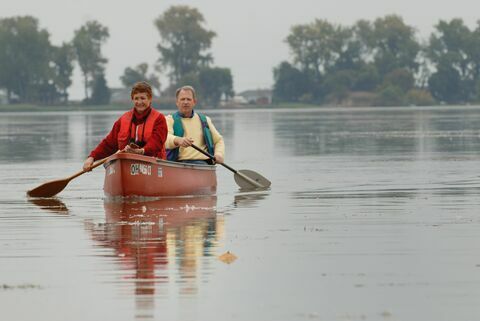 The Trust for Public Land, in partnership with U.S. Representative Marcy Kaptur and Ohio's congressional delegation, and the City of Port Clinton, worked to secure federal and state grants necessary to fund the acquisition and then turn the land over to Port Clinton. At the request of local citizen groups and community leaders, The Trust for Public Land acquired the property, demolished the vacant arena, and transferred ownership to the Cuyahoga Valley National Park. The Trust for Public Land and the Cleveland Rowing Foundation are converting seven acres of commercial riverfront land into a vibrant new public park in the center of the Flats. The Trust for Public Land helped Hiram College protect and expand the land around the James H. Barrow Field Station, a center of research and environmental studies. When Ebenezer Sheldon, a former Revolutionary War soldier, settled in Aurora in 1799, he set up his homestead on the 153 acres known today as Spring Hill Farm. Ohio's Springfield Bog is characterized by distinctive kettle bog wetland habitat, so in 2009 when the 256-acre property was targeted for development as a large subdivision, conservationists got busy. Students at the University of Akron use the Steiner Woods property for a long-term amphibian research study and have documented 13 species of salamander that use the extensive wetlands during breeding season. Once a recreation and entertainment destination, Summit Lake Park has become a vastly underutilized natural asset in recent decades. With the environmental state of the lake unknown and the underserved surrounding neighborhood, many residents avoid the area altogether. The Trust for Public Land worked with local partners to protect these 254 acres of former farmland and connect it with the adjacent Forest Run Wildlife Preserve. TPL has helped conserve over 1,700 acres in the Tinker's Creek watershed in Aurora. The Trust for Public Land acquired two long-sought after properties along the Cuyahoga River in Cleveland for the trail. In 2009, TPL and Goodyear partnered with the Ohio Department of Natural Resources Division of Wildlife to create a new state park at the former Wingfoot Lake recreational facility.